City dwellers with small patios can still find space for a garden. Here’s an example of a vertical garden, using wall space to add greenery. Not everyone is lucky enough to have a huge lawn where there are a lot of possibilities for a garden. Some of us, especially urban-dwellers, have just a small patio or terrace we could work on to add greenery to our homes. But it isn’t impossible to have your own garden, even if you live in a small city apartment or a tiny rental home. 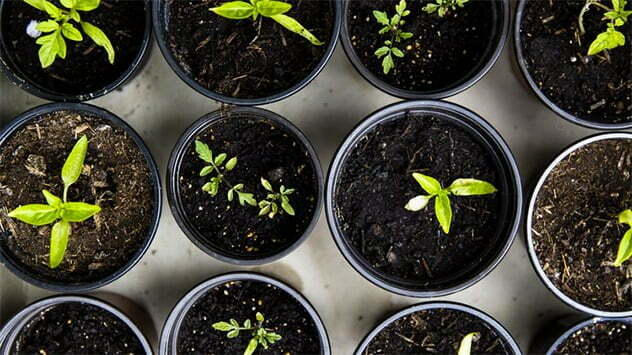 You can work with the space that you have and wear your creative hat in order to pull off a gardening project. Planters can be easily moved and rearranged to fit your style or accommodate the changing seasons. You can make a mobile garden with movable planters, or recycle small containers instead of using regular-sized pots, to easily bring your garden when you need to move. 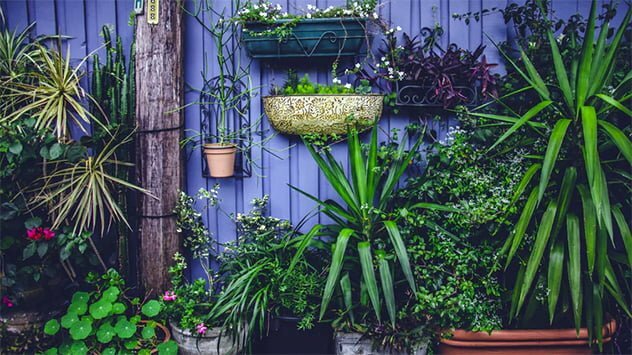 You can also set up a vertical garden, hang the pots, and create raised beds to maximize the space that you have. Want to go green? 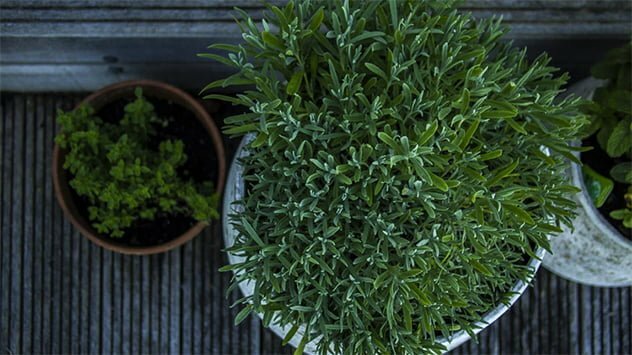 Plant herbs and vegetables that brighten up your patio and can be used for cooking. Lastly, you can pick out plants that bring a pop of color to make up for the size of your garden, or plants that you can actually eat and use for cooking. There are many ways to work around a simple challenge like a lack of space. It’s not impossible to beautify your home and have a greenery haven at the heart of an urban-dwelling. You just have to have the determination to do it. Learn how to make a cedar planter, a hanging-basket stand, a planter pot and table combo and other woodworking projects at Sawinery.